a rich, soft, chocolate cake will always be my #1. the kind that slices like warm butter, giving way to the slightest amount of pressure from a sharp knife; the kind that acquires moistness and flavor from layers of frosting, but retains its own flavor and texture; the kind that never comes cleanly out of the pan, because the exterior doesn’t bake dry and hard – instead, it’s slightly spongy, with a thin coating of crumbs clingingly partial to the metal sides of the pan. that’s chapter one, paragraph one of the volume i anticipate myself spending the next few decades composing: My Life Is Moist. honestly, i could go on forever and ever about the array of variables one can tweak to achieve different finenesses of crumb in cakes, but i’ll save it for the book. 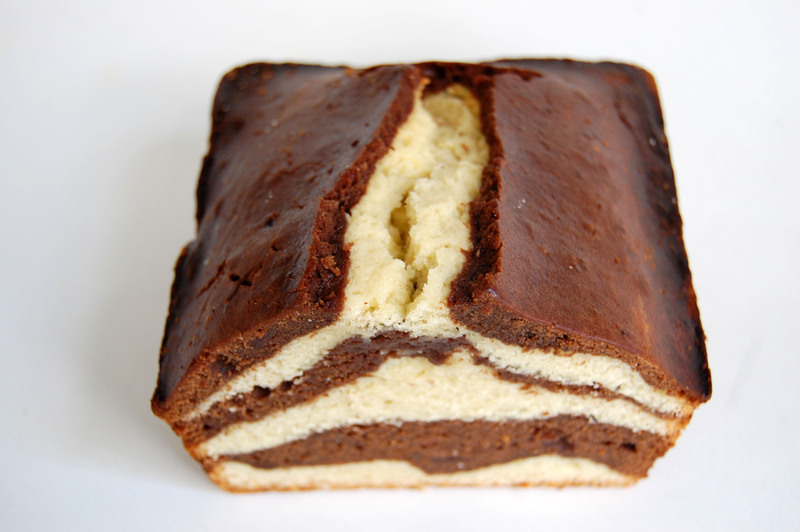 right now, i want you to forget everything i just said about moistness and remember how damn delicious pound cakes are. they’re on a whole different spectrum. is there anything more empowering than palming a weighty slab of pound cake and brandishing a serrated knife? pound cakes take everything in stride. 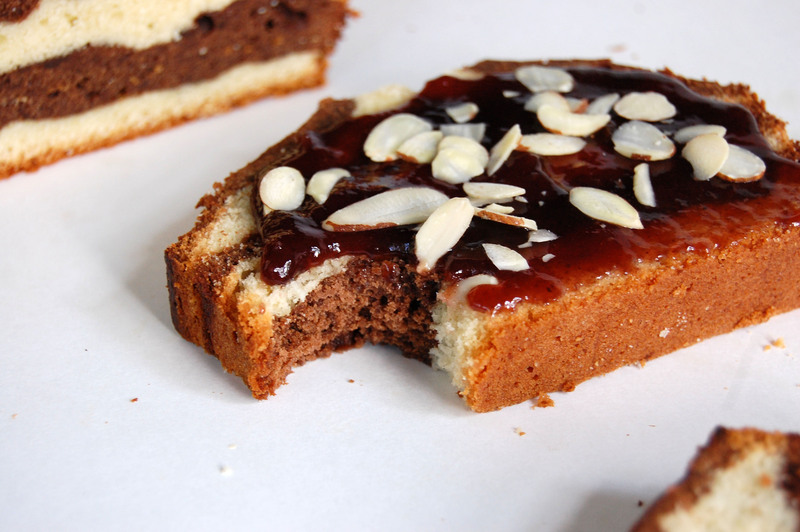 throwing in a handful of ground almonds, a spoonful of jam, and some dark cocoa didn’t alter its trademark buttery-dense consistency. feel free to switch up the jam flavor, or use alternative add-ins: chopped dried cherries, chopped maraschino cherries, pistachios instead of almonds; maybe even soak the cake in a simple or cherry-scented syrup while it’s still warm. next time, i think i’ll mix the jam into the vanilla batter to give it more color. preheat the oven to 350º and grease a loaf pan. cream the butter, sugar, and salt for a few minutes or until fluffy. add the eggs one at a time, beating well after each addition. add the vanilla and milk. in a separate bowl, stir together the flour and baking powder, then mix into the batter. divide the batter in half (i did this by weight). to one half, stir in the cocoa and jam, and to the other, add the ground almonds. spread some vanilla batter in the bottom of the pan. 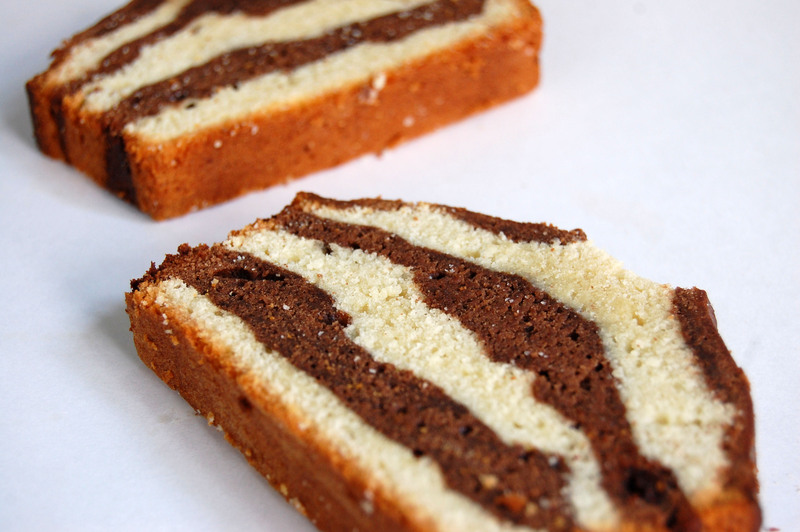 top with a thin layer of the chocolate batter. 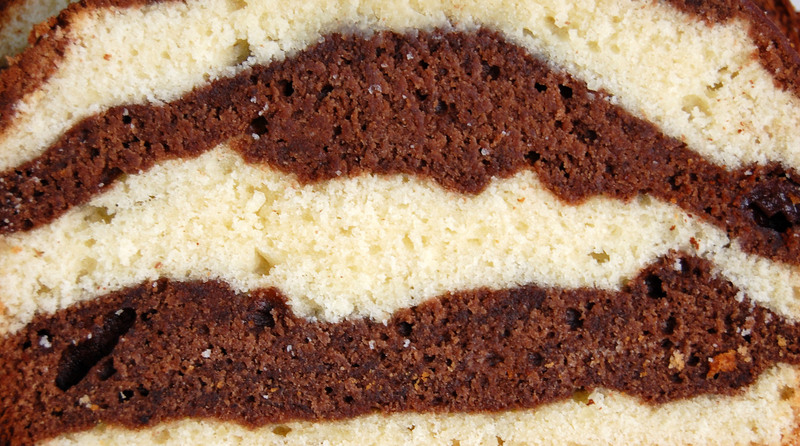 continue alternating layers until you’ve run out. bake for 60-70 minutes, tenting with foil if the top starts to get too brown (it can be hard to tell if it’s burning if the top layer is chocolate, so go by smell, too). you might be tempted to remove it from the oven early, but be careful! i did 70 minutes and the center of mine was seconds away from still being raw. 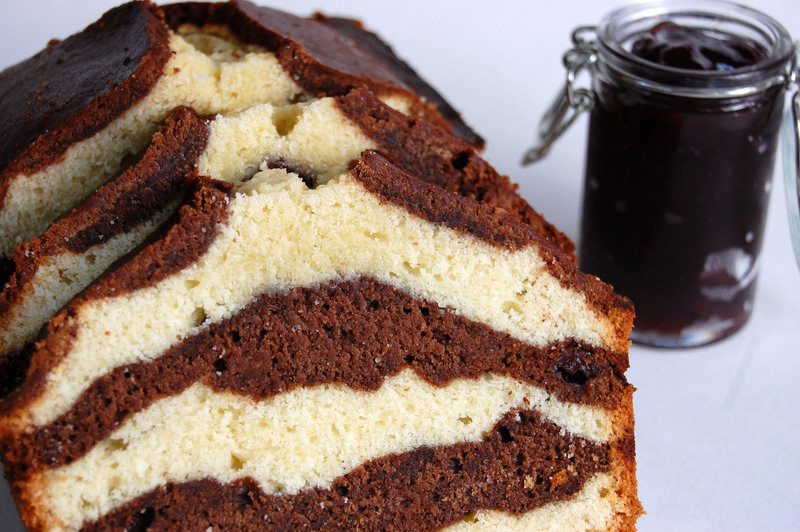 enjoy this sliced thick and spread with cream cheese or more jam.